Cities around the world are beginning to understand the huge potential of the Internet of Things (IoT). Thailand is no different, with the Ministry of Digital Economy and Society looking to leverage on the Internet of Things to turn Phuket into a smart city by 2020. In 2016, the government allocated THB 430 million from its budget for Phuket's development. In addition, Phuket is also looking to learn from Busan, South Korea’s second largest city, on its smart city experience. The cooperation between the cities was further strengthened with the Mayors of Phuket and Busan, signing a letter of intent to build an innovation park for startups. Connectivity is key for Smart City implementation and Ministry has also allocated 240 million baht to build a public WiFi network and is targeting free Wi-Fi coverage in 1,000 spots by the end of 2017. 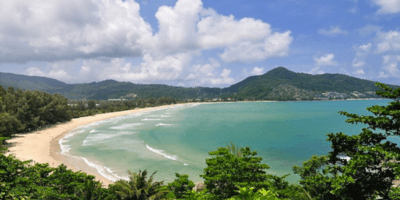 Taking a step towards this has been to provide Wi-Fi for 50 local retail shops in Phuket’s popular Patong area, so shop owners can opt for digital marketing. To improve local services, data from various sources, Local and National Government, Businesses, Social Media and other Open Data Sources, will be aggregated, visualized and made available to Citizens, Businesses and Tourists via the Smart Phuket Application. The application will provide users with access to city information, emergency contacts, updates on news and calendars. It will also be connected to an e-payment gateway which allows consumers to make purchases for food and hotel reservations. Emergency Alerts are also communicated via the app when adverse weather conditions are predicted to hit the area. Implementation of location based technologies will also allow interactive & dynamic content, such as, interactive promotions and tourist information around areas in Phuket to be displayed on the application. Sensors installed in various parts of the city can help to improving safety and security for both citizens and tourists. For example, 5,000 closed circuit televisions (CCTV) cameras are to be installed in Phuket by 2020, this coupled with video analytics and data from the immigration department can help in identifying and deterring crime. Another application to improve safety is the Vessel Tracking Management System, implemented by the Harbor department, which allows the location of vessels to be tracked. Combine the location of the vessel with weather forecasting and the sensors placed out at sea, alerts can be generated to inform the vessels of potential hazardous conditions and to head back to shore prior to adverse weather. Out at sea, tourists are also provided with Smart Bands, which can track the distance of the tourist from the boat during activities such as diving. The operators will be aware in real time if tourists go out of range and the appropriate action can be taken immediately to resolve the situation. Phuket is the forefront of Smart City development in Thailand and will provide the government with the experience to develop Smart Cities across the country. Join the Phuket Branch Manager from the Digital Economy Promotion Agency as they share their experience on developing Phuket Smart City at Asia IoT Business Platform which will take place on 24-25 July 2017 in Bangkok.